Spring has finally sprung. 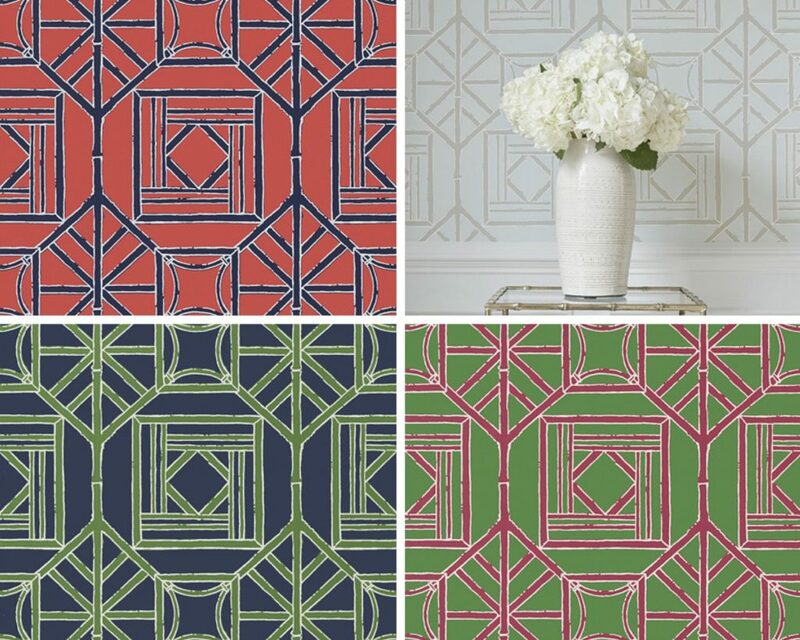 We are definitely in the mood for colorful inspiration and the new Dynasty collection from Thibaut is what we have been waiting for. A fresh interpretation of chinoiserie with a modern twist, Dynasty is infused with the rich history and elegance of Asian culture. 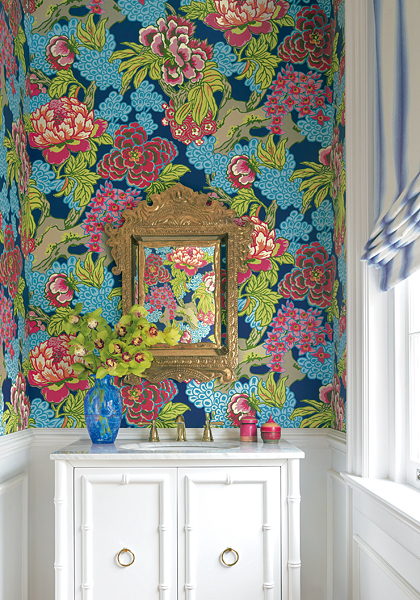 The coordinating wallpaper, print, woven and embroidered fabrics were inspired by the detail and beauty of a golden age. Asian Scenic is imagined to be a Zen garden with flowing waters, lush trees, people and pagodas. 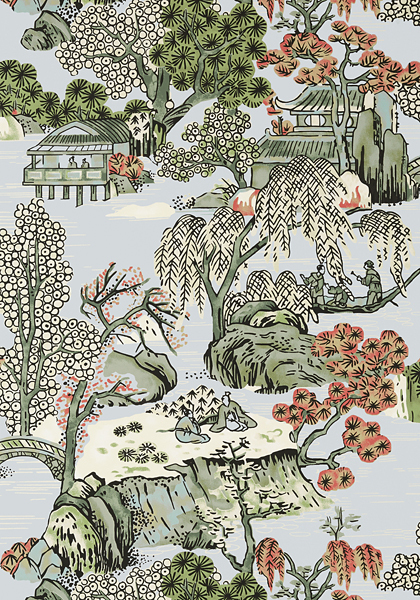 The Honshu pattern was named after Honshu Island which is renowned for its Japanese gardens. Clayton Herringbone Embroidery has fine detail stitching creating the beautiful herringbone design with soft flowing lines. 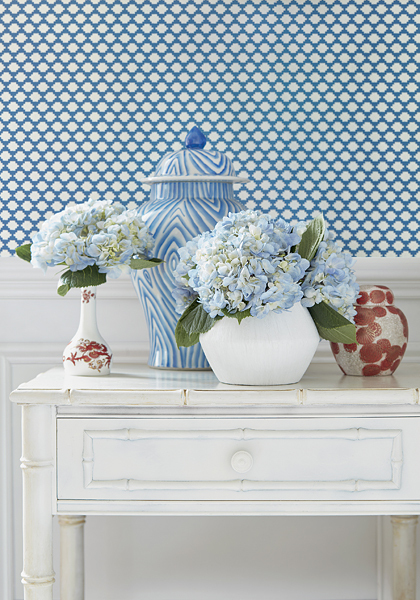 Shoji Panel was inspired by a Thibaut wallpaper from the 1960’s. 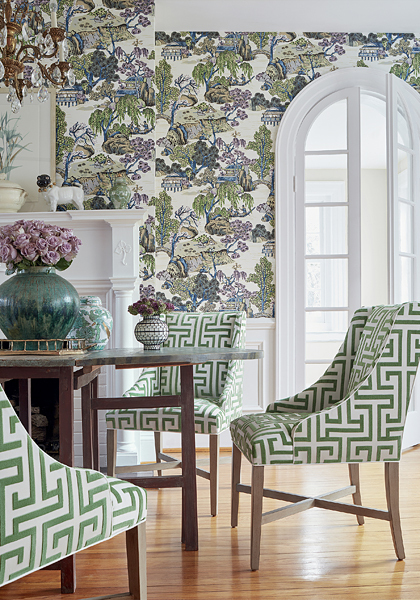 Dynasty offers 11 wallpaper designs with coordinating print, woven and embroidered fabrics. 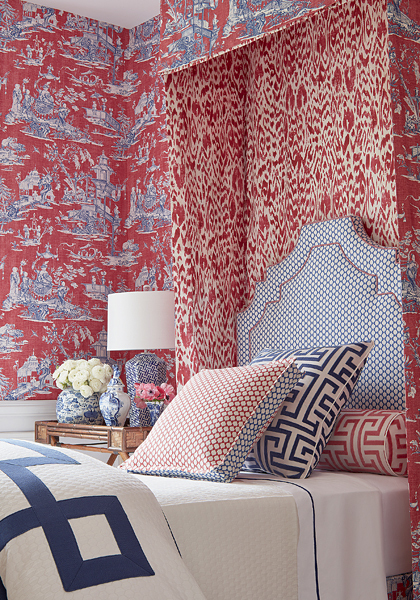 The creative adaptations of traditional chinoiserie patterns, along with the luxurious colors palettes, showcase the impressive talent of Thibaut’s design team. 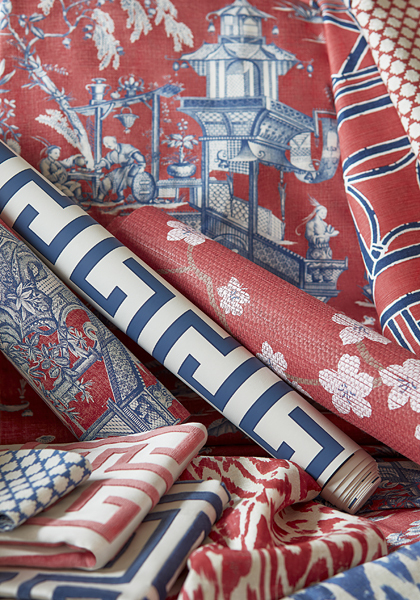 For more patterns and colorways visit our Pinterest board or one of our retail stores. Call first- each store has a different wallcovering library!